Louie (Luker) Burrell's father was the Victorian landscape painter William Luker. From 1900 to 1903 Louie studied under Sir Hubert von Herkomer at Bushey, where she won awards every year. 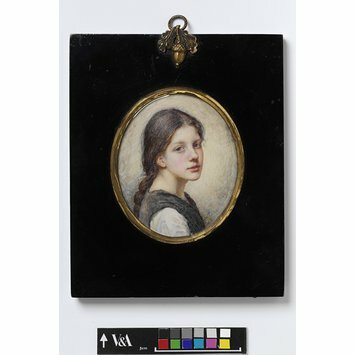 She painted miniatures during the vacations to support her studies and exhibited at the Royal Academy (RA). She then went to South Africa, where she painted many of the rich Boer families and married. In 1907 she returned to England for the birth of her daughter, the following year. Soon afterwards her husband died. She took up work again, painting many members of the Royal Family and exhibiting regularly at the RA. In 1912 she became an Associate Member of the Royal Miniature Society. But her health broke down under the strain of work and supporting her child. She left for Canada, and with the outbreak of the First World War in 1914 fell on hard times. In 1916 she travelled to California and found portrait work in Los Angeles. Back in England in the 1920s, she enjoyed a last period of success. Finally, she turned to painting life-size in oils (these were less of a strain than miniatures). She travelled to India, but ill health again forced her to give up professional work. The Artists General Benevolent Institution awarded her a small annual grant, and she subsequently painted only for her own enjoyment. She was unknown at her death in 1971. Since 1979 a number of exhibitions of her work have sought to re-establish her reputation. 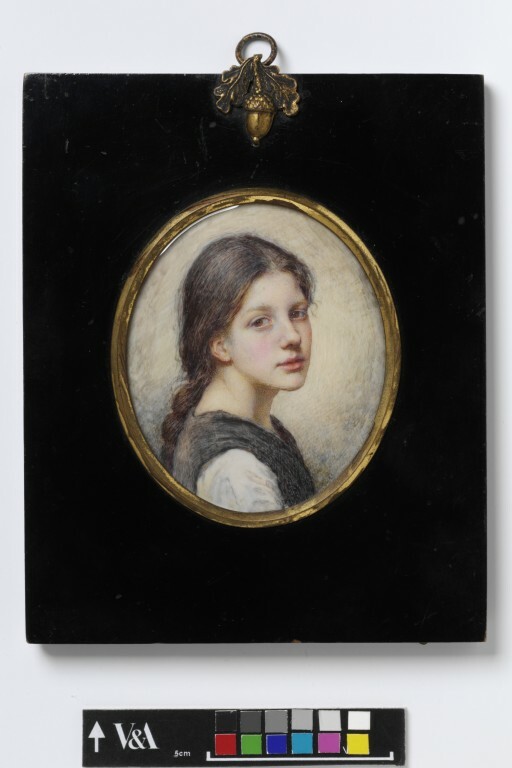 Portrait miniature of an unknown girl, watercolour on ivory, painted by Louie Burrell (1873-1971).